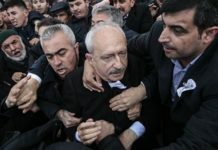 The Turkish Islamist ruler’s secret policy of facilitating the movement of jihadists from the Uyghurs of Chinese nationality into Syria since 2011 to fight against the Bashar al-Assad government, a position that has angered Beijing and sparked diplomatic spats, appears to have boomeranged on Turkey against the background of a nightclub massacre in Istanbul that is believed to have been perpetrated by an Asian-looking militant from the Islamic State in Iraq and the Levant (ISIL). According to his wife’s testimony, the killer came to Istanbul on a flight from Bishkek on Nov. 20 and moved to the conservative bastion of Konya province, where ISIL has been known to be active. ISIL and al-Qaeda, in particular the Nusra Front, which draws support from the Uyghurs’ networks in neighboring China, have been stirring up trouble in Kyrgyzstan for some time. Nusra-affiliated Uyghurs even staged a suicide bomb attack inside the Chinese embassy in Bishkek in August 2016. Uyghur radicals run smuggling routes on the Kyrgyz-Chinese border, forge passports and travel documents, help dispatch jihadists to Syria to fight and even recruit Kyrgyz nationals to their ranks. Several people who planned the attack on the Chinese embassy reportedly fled to Turkey. Therefore it would not be surprising to see the attacker of the nightclub in Istanbul coming from the same flock. I know from Chinese sources that Beijing has repeatedly raised this issue with Ankara, even during visits at the head of state level, but President Recep Tayyip Erdoğan, who crafted this shortsighted policy of enabling foreign jihadists to descend into Syria, has never acted on promises made to his Chinese counterpart. He continued playing his double game while saying what the Chinese wanted to hear. 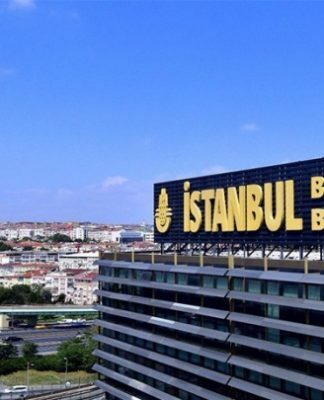 Beijing has grown quite frustrated with Erdoğan’s inaction and decided to respond with a series of undeclared countermeasures ranging from difficulties in obtaining visas to restrictions on the movements of Turkish businesspeople. 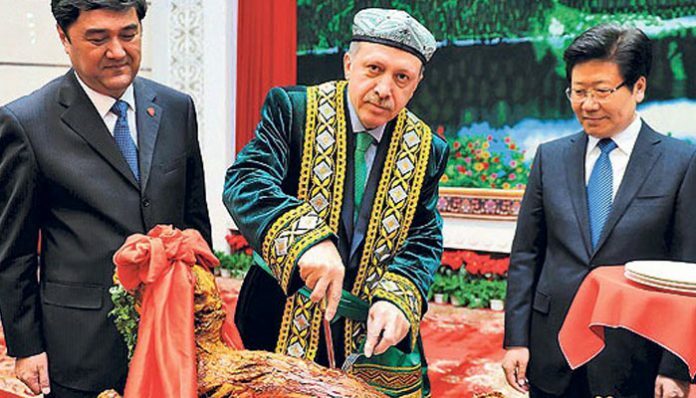 Beijing has every right to protest Turkey given the fact that the number of Chinese jihadists who use Turkey as a conduit to link up with terror groups in Syria is by far the largest group among all foreigners. We do not know the exact figure of how many Chinese joined this dirty war in Syria, but we have enough indications to make a projection. The Turkish military announced last year that in 2015 it had detained 324 Chinese nationals at border points as they were trying to cross into Syria to join radical groups. This figure represents 36 percent of all foreigners who were caught by the military. This of course does not include the number detained by the police, who are responsible for the security of 79 percent of the country’s population, with the rest handled by the gendarmerie and the coast guard. The police, the main law enforcement agency in Turkey, are tightly controlled by the government, as opposed to the gendarmerie. Therefore, any secret policy of the government with regard to enabling Uyghurs to move around would be implemented with no questions asked. It is safe to assume that a bigger number of Chinese were caught in the dragnet cast by the police but let go in line with government policy. The police have never announced the nationality breakdown in the number of foreigners they have caught. But Interior Minister Süleyman Soylu said in budget deliberations in the parliamentary Planning and Budget Commission on Nov. 23, 2016 that in 2016 Turkey detained 1,381 foreigners on suspicion of ISIL involvement and arrested 618. 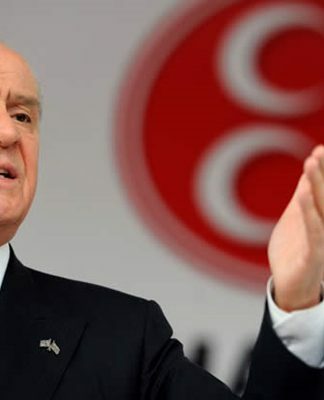 In total, he said 3,857 foreigners were expelled from Turkey on ISIL charges. The figure is confusing because it does not separate how many were detained by the police, gendarmerie or the coast guard. We do not know how many of the 618 foreigners who were arrested were later deported because the common practice is that police routinely send foreigners to collection and deportation centers rather than prosecuting them in the criminal justice system. These people are free to wreak havoc when they get back to their countries of origin, as was the case with Paris suicide bomber Brahim Abdeslam and Brussels bomber Ibrahim el-Bakraoui. What is more, we do not know how many made it across to Syria or Iraq. I have my own calculations on which to make an approximation of that after examining the secret wiretap records kept by the police on ISIL traffickers for years. 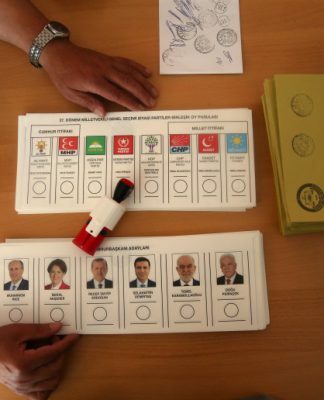 Yes, it may come as a shock, but the Turkish government knew all the key players in this traffic and monitored their moves and communications closely but did not crack down on that because of protection by Erdoğan and his Islamist associates in the government. The wiretaps authorized by Ankara courts on GSM lines used by Turkish ISIL trafficker İlhami Balı (aka Ebu Bekir or Abu Bakr), emir of the Turkish-Syrian border, revealed figures on how many made it to Syria by way of just one route. In one wiretap dated Nov. 18, 2014 at 10:38 a.m., Ebu Bekir called an unidentified person who runs the routes for ISIL fighters across the border area. He asked the total tally for the number of people he helped cross and compared his notes on the phone with this man on the ground. Ebu Bekir revealed on the phone that his records showed 1,440 militants crossed into Syria between Oct. 22 and Nov.18, 2014. They compare figures day by day. For example, on Oct. 30, 2014, Ebu Bekir says 72 people were recorded as having made it to Syria. It was 57 people on Nov. 4, 2014. Let’s remember this number was valid only for crossing points located in the Elbeyli district of Turkey’s southeastern Kilis province, situated near Syria. There are many entry points along the porous, 911-kilometer-long border between Turkey and Syria. By the way, this traffic works both ways. Ebu Bekir was also arranging for ISIL militants to cross back into Turkey, and they were doing this under directives from the ISIL leadership. He was getting paid for expenses and a set fee for each person he and his associates helped cross the border. That was the reason why Ebu Bekir was trying to verify the number of those who crossed to either side day by day. In other words, regular monthly reports were being sent to the ISIL leadership with the full knowledge of Turkish authorities. If we factor these numbers into the calculations and apply the 36 percent rule on Chinese nationals, perhaps as many as 500 Uyghurs made it into Syria in a single month alone in 2014. There is no way of knowing it for sure, but this rough projection was corroborated by a major breaking story run in a Turkish national daily, Meydan. The newspaper said Turkish intelligence runs a passport forgery center in Istanbul’s Zeytinburnu district to provide altered Turkish passports for Uyghurs who want to join the jihad in Syria. The operative is a Chinese national of Uyghur background identified as Nurali T. Whistleblower A.G., an aide of Nurali T., told the investigative journalists from the Meydan daily that they have produced some 100,000 altered Turkish passports so far, half of them going to China. Nurali, in Turkey since 2011, was even once caught by police while he was carrying 30 passports, but he was immediately released, suggesting that he has a political cover that allows him to operate freely in Turkey. Despite the fact that Turkish immigration officials have spotted forged passports carried by inbound passengers of Uyghur background and have seized their travel documents, they let them enter the country through the back door in line with the government policy on ethnic Uyghurs. The fact that so many Uyghur Turks were caught with Turkish passports in countries like China, Thailand, Indonesia and Malaysia corroborated Meydan’s investigative story. I talked to Meydan Editor-in-Chief Levent Kenez about the background of this major story, and he said every detail was fact-checked before the story went to print. He also said the reporter whose byline was on the report was threatened by the intelligence agency after publication of the story, and he had to order him to take several days off while sorting out what threats he was facing and how his safety might be insured. 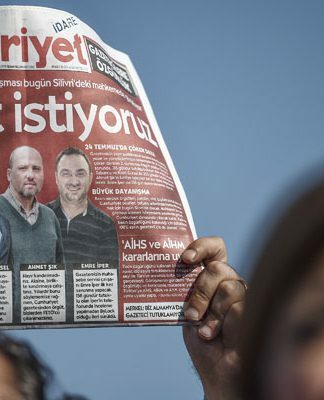 Meydan was unlawfully shut down by the Erdoğan regime in the aftermath of a failed coup on July 15, and police raided the offices of the newspaper on July 16, detaining Editor-in-Chief Kenez. The entire archive of the Meydan daily was removed by the government, as if they wanted to get rid of any evidence of this nasty business with Uyghur jihadists. Erdoğan not only betrayed the trust placed in him by Chinese officials who decided to upgrade bilateral ties to a strategic partnership in 2010 and help resolve lingering issues in the Xinjiang region by welcoming Turkish engagement, but he also did a huge disservice to Uyghurs by simply considering them pawns and militants to recruit for his dirty war of regime change in neighboring Syria. To salvage the bilateral ties and not to increase tension, Beijing has never publicly raised this issue with Turkey and has instead used traditional diplomacy to warn Ankara. 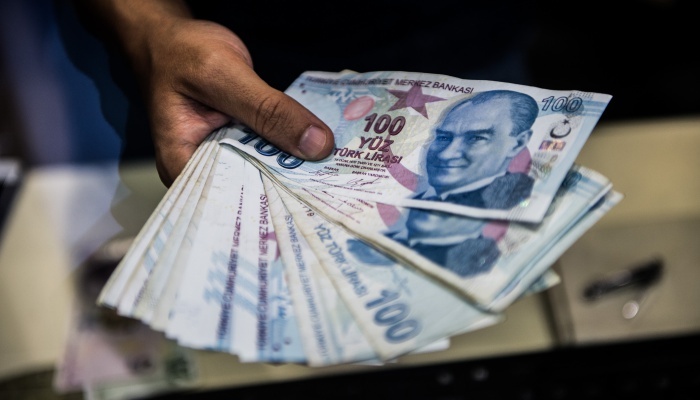 Chinese government officials, including top intelligence bureaucrats, have traveled to Turkey many times in recent years to raise this trafficking network issue with their counterparts in Ankara, hoping to see some change. These overtures were not reciprocated by Turkey. In fact, there are many jihadist websites in Turkish and other languages managed from Turkey. They promote jihadist-controlled areas in Syria and Iraq as the new homeland for Uyghurs, publish materials and campaign to raise more militants and funding. Erdoğan, who ordered the investigation of thousands of people who criticized him on social media and shut down hundreds of websites just because he did not like their coverage, has not done anything to jihadist sites operating on behalf of Uyghur jihadists. Only when much pressure was applied by international partners including China did Erdoğan appear to be doing something in cracking down on this network, only to undermine and derail that process later on with a dubious policy. The real danger is not just ISIL, but so many other al-Qaeda-linked Salafist networks that operate in Syria and Turkey and which attract a sizable number of Chinese nationals. As they get squeezed out of Syria, these jihadists run for safety in Turkey and from there to the homeland, China. Therefore, increased terror attacks in Turkey and China with battle-hardened militants who were trained in armed combat are more likely in the coming period. The professional manner in which the gunman killed 39 people in a nightclub located an urban area in presumably one of the safest places in Istanbul must send a chilling message across the board. Top Islamist Erdoğan, who nurtured and massaged these jihadists, is reaping what he sowed in the Syrian swamp, and unfortunately innocent people are paying a price for his mistakes.